A game for teenagers, rap artists, songwriters, teachers, writers and parents. Use this game to generate vocabulary while finding rhymes. Includes onset cards (starting sounds) and rime cards (ending sounds), topic cards and beats. All teachers should read this comprehensive information resource about including all learners in the classroom. Support students to learn number concepts by using these ten sided flash dice for games. Support students to consolidate the multiplication concept. A card game for teenagers, rap artists, songwriters, teachers, writers and parents. Includes onset cards (starting sounds) and rime cards (ending sounds), topic cards and a game board. Support students to improve cohesion, use connectives, referring or transition words and understand Top Level Structure. 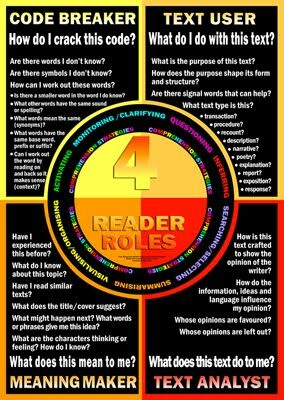 Support students to use seven effective comprehension strategies and four reader roles. Support students to build their vocabulary in the classroom and improve comprehension skills.